Football season is now underway, which coincidentally means nacho season is in full swing. Were throwing penalty flags on anyone caught microwaving plated bag chips sprinkled with leftover Mexican-blend shredded cheese. 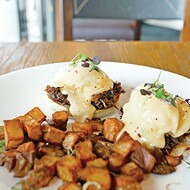 Instead, consider any one of these fine metro area restaurants for your football snacking needs. 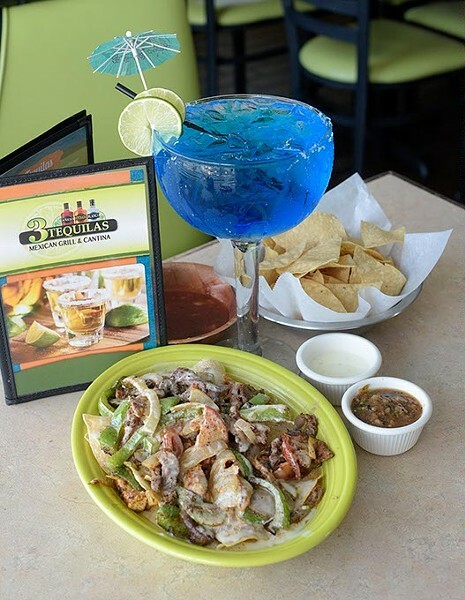 Super Fajita Nachos at 3 Tequilas Mexican Grill & Cantina in Edmond, Friday, Aug. 5, 2016. A good strategy for dressing ones corn chips involves topping the crispy bites with the same group of ingredients usually found wrapped into a tortilla. Edmonds 3 Tequilas demonstrates an understanding of this technique with its Super Fajita Nachos Supreme, which comes piled high with beans and melted cheese under sizzling grilled beef or chicken, bell peppers, onions and tomatoes. Add shrimp for $2 more. What happens when a Sunday post-church staple meets a college football Saturday favorite? 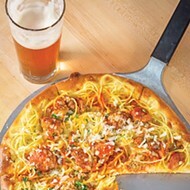 Well, weekend bliss on a plate  thats what. 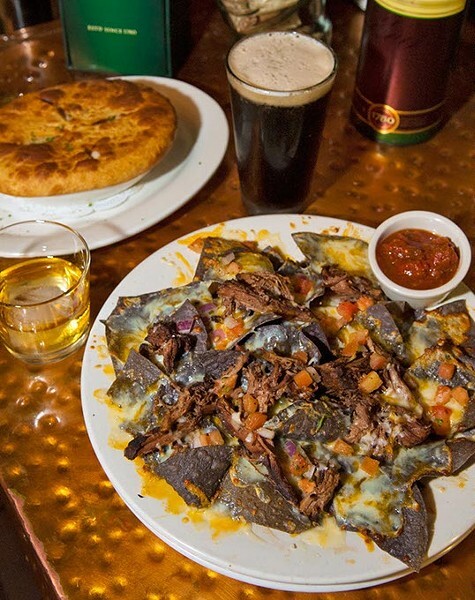 Blackbirds pot roast nachos served with blue corn chips, serrano pico de gallo and house salsa are a game day favorite on Normans historic Campus Corner. 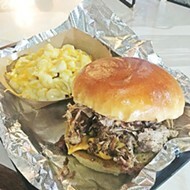 Patrons can also order pulled chicken as a replacement protein. All that delicious food can be trailed nicely with a cigar and whiskey, which can be enjoyed in Blackbirds posh Birds Nest lounge. 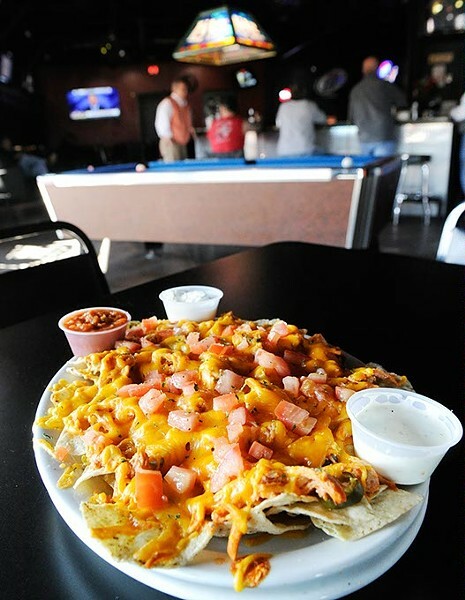 White Trash Nachos at Irma's Burger Shack in Oklahoma City, Wednesday, Dec. 16, 2015. Irmas smirkingly refers to its loaded appetizer as White Trash Nachos, but there is nothing trashy about the proven flavors that make up the burger joint starter. 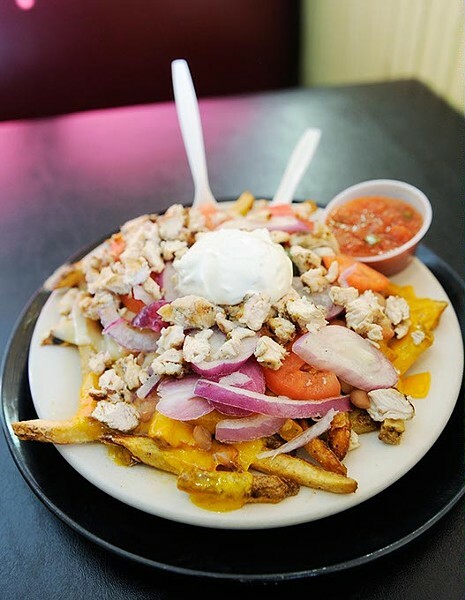 Instead of corn chips, french fries are stacked with grilled chicken, cheddar and pepper Jack cheese, beans, tomatoes, onions, sour cream and jalapeños. Keep your fancy folded cloth napkins; well take this unsophisticated but indulgently satisfying beauty. Buffalo Chicken Nachos at Lumpys Sports Grill in Oklahoma City, Friday, Feb. 12, 2016. Traditional sports bar fare is taken to a new level when Lumpys serves its already fantastic nachos with chicken covered in Buffalo-style hot sauce. The Buffalo chicken nachos come topped with jalapeños and served with sides of sour cream and ranch dressing for a unique mesh of flavors to enjoy while watching the big game. 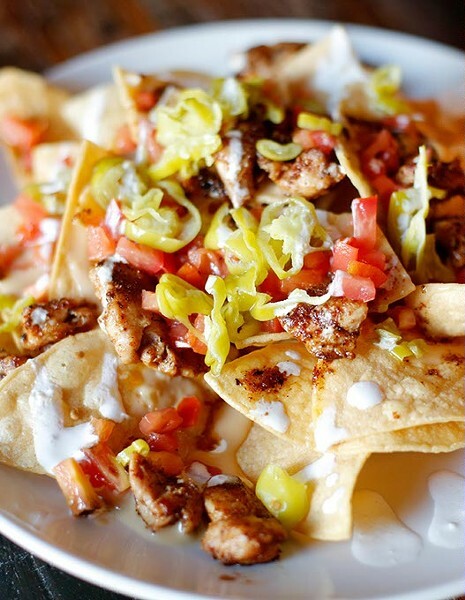 Be sure to check out Lumpys other locations at 5909 Northwest Expressway and 10601 S. Western Ave.
Chicken nachos at Oak & Ore in Oklahoma City, Tuesday, Sept. 22, 2015. 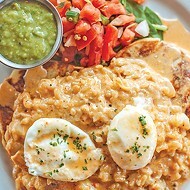 Some probably feel the common nacho lacks the je ne sais quoi to be served in the same trendy craft brew house that also sells quinoa tabbouleh salad and honey mole chicken. Well, thank goodness Oak & Ore feels differently or we would never be blessed with its premiere local iteration topped with COOP Native Amber Beer Cheese, bacon jam, pico de gallo, black beans, avocado crema and sour cream. Chicken Nachos at Republic Gastropub in Oklahoma City, Wednesday, Oct. 26, 2016. It is a common mistake to overthink the nacho. 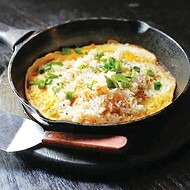 Since dropping ingredients on top of the simply made dish is so easy, people have all sorts of time to get too creative with what can be thrown on there. 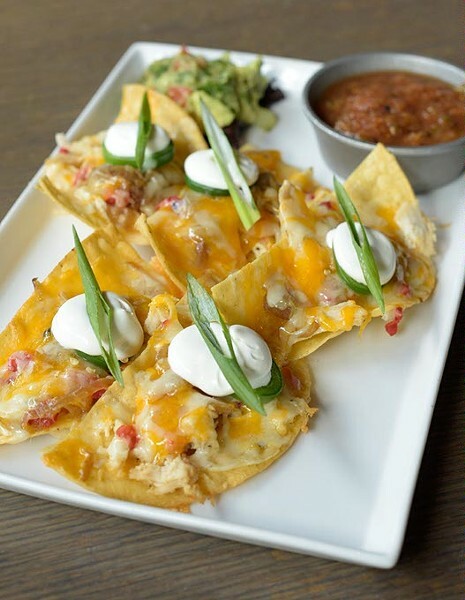 Thankfully, the food geniuses at Republic know there is power in restraint and instead focusing on tidying up the nachos traditionally sloppy presentation. The Classen Curve restaurants chips come under a delicious mix of pulled chicken, caramelized onions, red peppers, jalapeños, sour cream and cheese. A lot of Italian food is best when served family-style around the table, so it is only natural that the group-snacking favorite would have a Sicilian cousin. 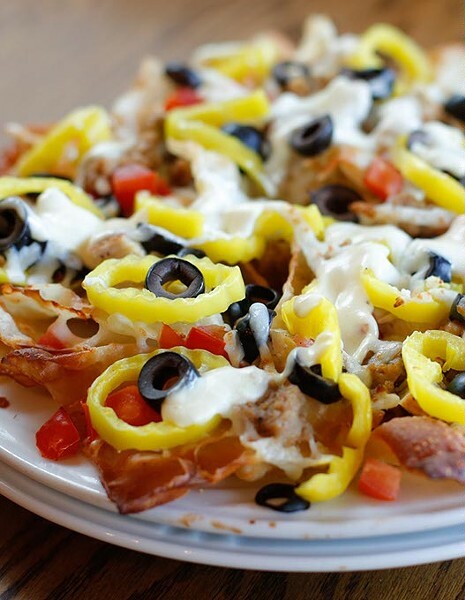 Sauceds Italian nachos feature Italian sausage, chicken, black olives, Roma tomatoes, banana peppers, Alfredo sauce and mozzarella over a bed of wonton chips. 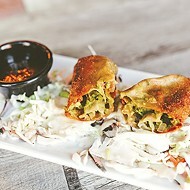 The grub is best served on the Paseo restaurants outdoor patio with a cold tap beer.